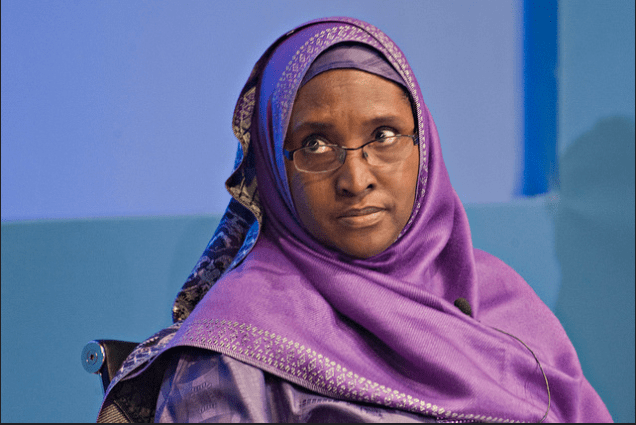 The House of Representatives has summoned the Minister of Finance, Zanaib Ahmed, to appear before it over the non-release of fund appropriated for the National Assembly and the judiciary in the 2018 budget. This followed the adoption of a motion sponsored by Edward Pwajok on the disruption of the sitting of the two chambers of the National Assembly by members of the Parliamentary Staff Association of Nigeria (PASAN), National Assembly chapter on Tuesday. Staff of the federal legislature had paralysed activities at the National Assembly on Tuesday in protest over the non-payment of the 28 per cent increase of the Consolidated Legislative Salary Structure (CONLESS) among other benefits. Addressing journalists at the end of yesterday’s plenary, the Chairman, House Committee on Media and Publicity, Abdulrasak Namdas said although the workers’ protest was not against the leadership of the National Assembly, lawmakers are committed to well-being of the staff. Consequently, Namdas stated that it is imperative for Finance Minister to appeal before the parliament to explain why funds appropriated for the National Assembly in the 2018 budget were yet to be released. The House spokesman noted that although the workers acted in ignorance of the law in obstructing lawmakers from performing the legislative duties, the House has taken steps to ensure that all their greviances are addressed. “We have called on the Finance Minister to appeal before us to come and explain why resources have not been released. We will need a well equipped management staff. The protest is not against the leadership of the National Assembly. The NASS is structured in such a way that the Senate has its own fund; Reps has its own fund and the management has its own fund. Non of the two presiding officers have access to the funds of the management. “We are not supposed to be fighting people working with us. We care for them. But they should follow due process,” he stated.